While in the United States we celebrated Cinco de Mayo on May 5th. 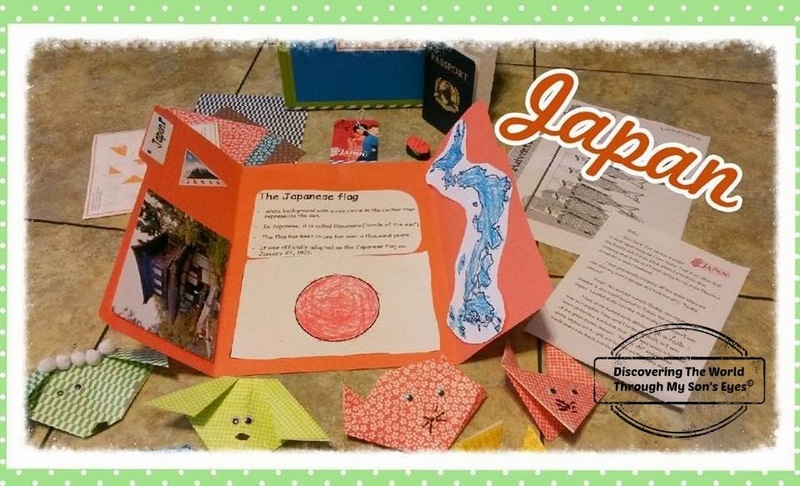 In Japan they celebrated Kodomo no Hi Japan’s Children’s Day! 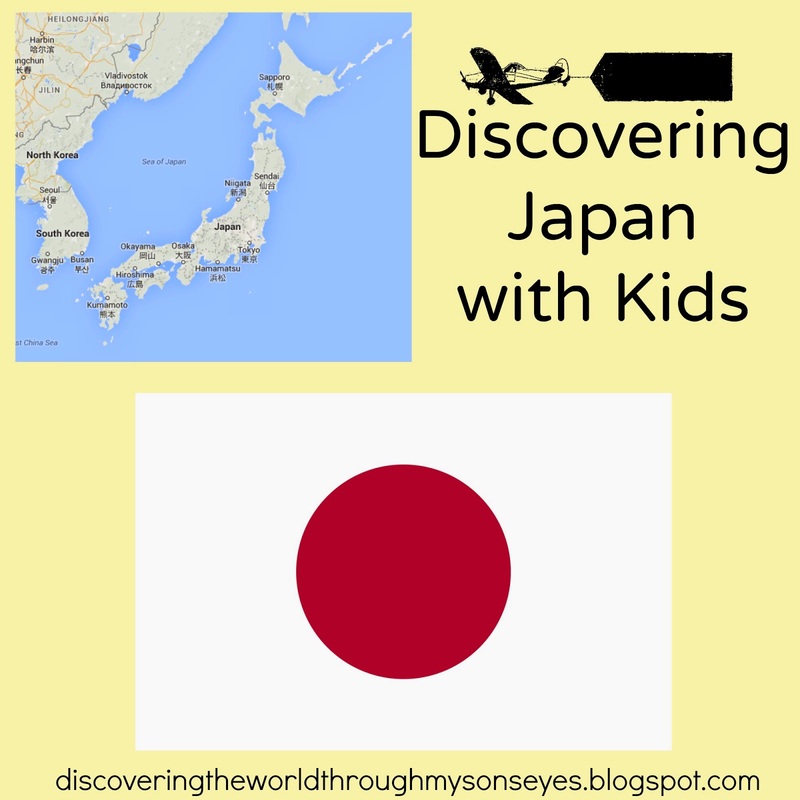 This post from Open Wide World couldn’t have come in a better time since we had just finished learning about Japan. I had little one make a simple lapbook with printables from DLTK. 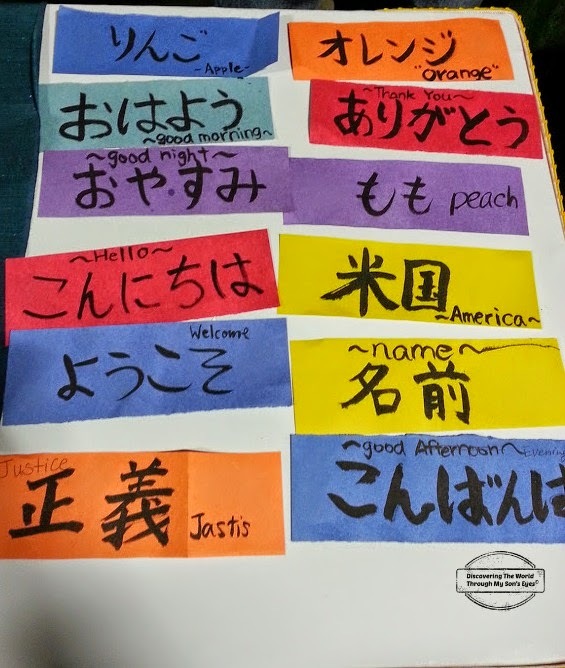 He colored the flag, and the country (insisting on coloring it blue) and he placed the stickers inside of the folder. We read Sam & Sofia’s letter, and loved the picture of a home in Japan. 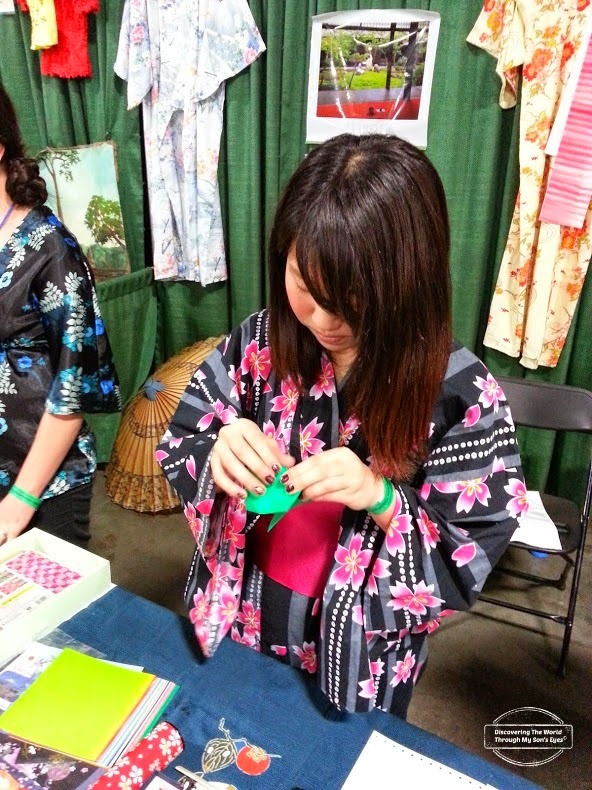 Little one also had the opportunity to meet a wonderful and beautiful Japanese young lady at the International Festival. She even made an origami for him. 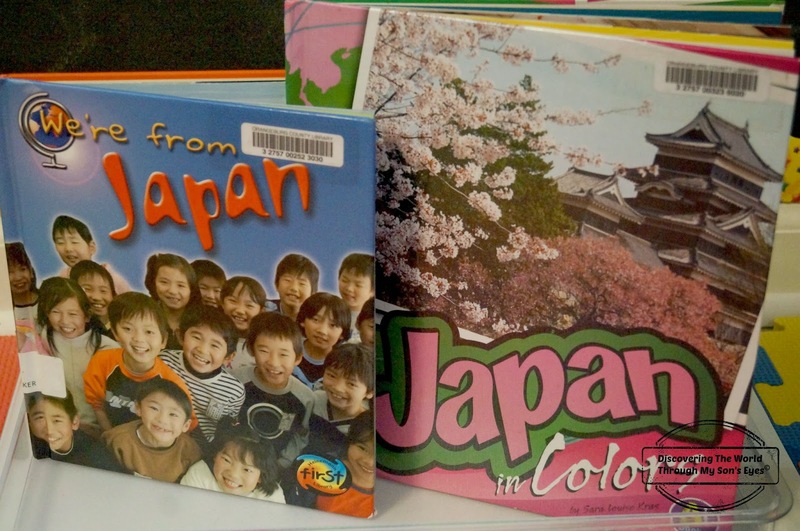 To supplement Sam & Sofia’s package from Japan I also checked out from the library the books We’re from Japan which is perfect with pictures of how children and family live there. The Japan in Colors book shows pictures of Japan’s culture, and landscapes. 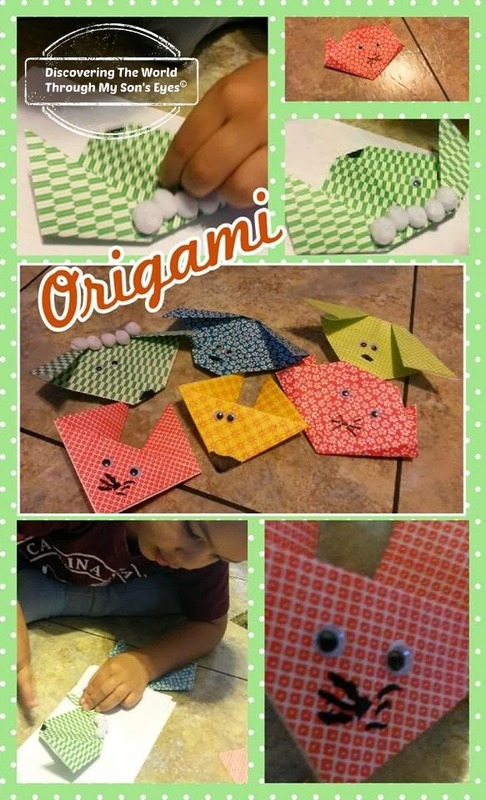 Although little one had a bit of trouble with making the origami he did enjoy adding googly eyes, and cotton balls so they could look more like animals. He made a sheep, a dog, a cat, and a fox. Japan was indeed a fun country to learn! We’ve also enjoyed National Geographic for Kids, and learned some fun facts about the country, it’s people, and culture. The Japanese are famous for their willingness to work very hard. Children are taught to show respect for others, especially parents and bosses. They learn to do what’s best for their family or company and worry less about their own needs. Japanese food is very different from food in Western countries. There is lots of rice, fish, and vegetables, but little meat. With little fat or dairy, this diet is very healthy, which helps Japanese people live, on average, longer than any other people in the world. We’ve been busy discovering countries around the world! Check out our Worldwide Culture Swaps, and Little Passports Countries. So much fun!! I love the details added to the origami and the idea for the lap book!